We danced Bill Clements, Gaelforce Wind, Moment of Truth, The Wee Cooper of Fife and The Ruby Rant. 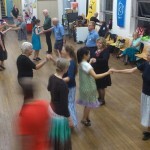 We also sadly, said farewell to Gail from the UK who had danced with us for 6 months. Hopefully she will be back within 12 months to visit her family here. 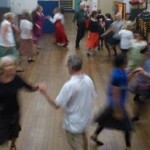 Tuesday night saw the class working on more dances from Chris and Catherine’s new CD Carriages at Midnight as well as a few other class requests – Fugal Fergus, The Devil’s Elbow, Bob Campbell, The Elusive Muse, The Nurseryman and A Trip To Bavaria. 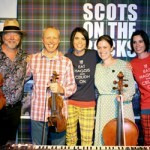 Congratulations to the Scots on The Rocks Demo team for their work at the 2015 National Folk Festival in Canberra over Easter. 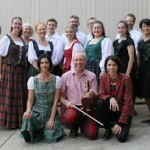 Wishing all our dancers attending and demonstrating at the National Folk Festival in Canberra over Easter a great time.